By Peter Anderson 7 Comments - The content of this website often contains affiliate links and I may be compensated if you buy through those links (at no cost to you!). Learn more about how we make money. Last edited April 17, 2018 . Over the past few years I've had the opportunity to check out a lot of different websites that hope to be the next big thing when it comes to online personal finance management. Quite a few of those websites, while based on good ideas and having solid implementation, have gone the way of the dodo-bird. For example, Adaptu.com was a great site, but it went belly up earlier this year. Other sites are no longer available online, or have gone through constant change over the years like Geezeo or Buxfer. While there are a million and one sites out there that purport to help you get your finances back on track, I've settled on a few of my own favorite personal finance management websites that have proven their worth to me, and that I think will have staying power. So let's take a brief look at 3 of my favorite online personal finance management software. What Is A Personal Finance Management Software? So what exactly is a online personal finance management software? I'm putting websites into this category that allow you to keep track of your entire financial situation. They allow you to aggregate all of your bank, investing and loan accounts to view them all in one place. They allow you to set a budget, or set various financial goals. In short, they help you to stay on top of your financial situation in an easy to use online interface. 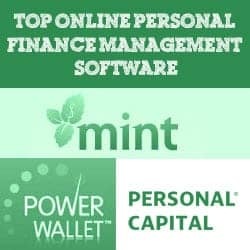 So what are my top online personal finance management software? Read on. My main go-to online personal finance management software is Mint.com. I've been using Mint for probably 4-5 years now, and it has only improved over time. When they were still relatively new I remember having all sorts of issues being able to import data from my banks and at least one brokerage, but over time they've really improved their data importing capabilities with a wide variety of services. Not only have they improved their compatibility, but their suite of tools has expanded and improved over time. Among the helpful tools you'll find on their site include a budgeting tool, reporting on all of your imported transactions, a place to set spending, saving and debt reduction goals, an overview of your investments and an interface to set alerts on important financial events – like if you receive a large deposit, or are spending too much. Mint.com is the gold standard for online personal finance management software and I would highly recommend checking it out if you haven't already signed up. An account on Mint.com is free, and it's a great tool to have in your financial tool belt. Check out my full Mint.com review. I discovered Personal Capital last year after reading quite a bit about them on several other blogs. At first they were compared to Mint.com, and in some senses they are very similar to Mint.com. You can add all your bank, brokerage, loan and other accounts to their interface and track where your money is going. Where Personal Capital excels, however, is that it is more suited to people who are managing a number of investments in their portfolio. Where Mint.com's investment tools are a bit sparse, Personal Capital is more aimed at users who do quite a bit of investing. They have some cool tools to show you how your investments are performing, tell you how your funds are allocated and give suggestions on how you can improve. If you want you can also get expert help for your financial situation, Personal Capital also offers financial advisors and asset management services as well – at a reasonable cost. I've been using Personal Capital for several months now and I think they're definitely going to be around for a long time. 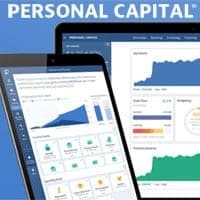 Check out my full Personal Capital review here. Another site that is a more recent addition to the personal finance management sphere, but that has promise if you don't want to check out the other two above is Power Wallet. Power Wallet is extremely similar to Mint.com in that it allows you to track all of your financial accounts in one place, set budgets, set bill pay and spending alerts, get deals and coupons based on your spending history and there's even a rewards program in the works. While Power Wallet isn't as polished as the other two yet, they're on their way. Definitely doesn't hurt to check it out since it's free as well. Check out my full Power Wallet review here. Any of the personal finance management sites listed above would be great options in order to start tracking your finances and better managing your financial situation. The key to turning your finances around is to just start tracking what you're spending, set debt reduction goals for the future, and work towards investing and saving for the future, and all three will help to facilitate that. What are your favorite Personal Finance Management Software? Tell us what you use in the comments! What about Crown MVELOPES? I find it super effective. It’s been a long time since I looked at Mvelopes. Do they have a web based version now (since this article is about online software)? What about online tools that can also be used outside the US? https://money.strands.com and https://www.inexfinance.com seem like nice alternatives for people who need to track their spending not only in usd. Have you had the pleasure of using CalendarBudget? It’s free now and has that ever-elusive balance projection feature that so many tools lack. Also works anywhere in the world. The tools on this post are going to require you to input account information in order to move forward. I know Mint has budgeting feature, but if you don’t enter accounts it won’t be very useful.